Huntsville – the north Alabama town where I live – was just named to the New York Times annual list of “52 Places (in the world!) to Go in 2019.” It’s an honor for a place. Montgomery made the list last year and Birmingham was on the 2017 list so Alabama has been well represented. The incentive for Huntsville’s inclusion this year is the 50th Anniversary of the July 1969 Apollo 11 moon landing. Planned local celebrations will honor Redstone Arsenal and NASA’s Marshall Space Flight Center’s integral role in the 1950s and 1960s activities that ultimately landed the first humans on the moon. The moon landing was the fulfillment of John F. Kennedy’s 1962 challenge, motivated by the Cold War and the American space race with the Soviets. 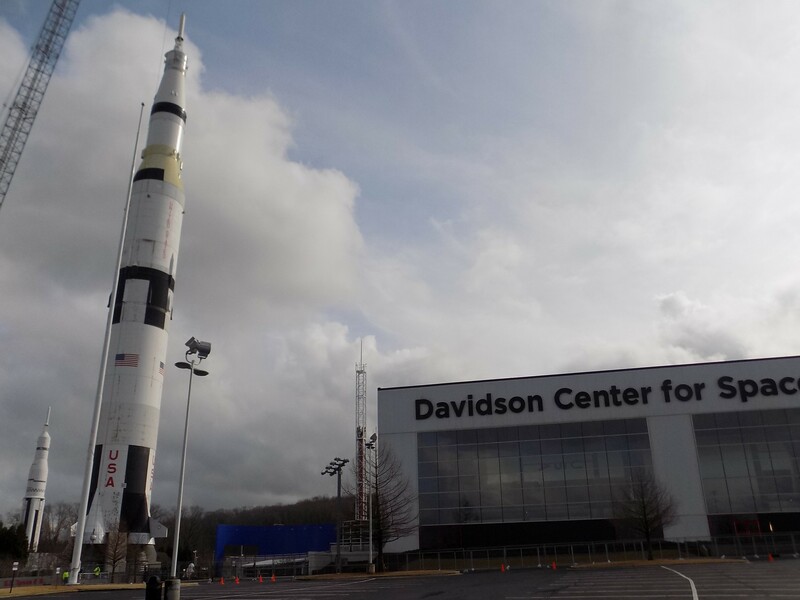 It was spearheaded by Wernher von Braun and his team of German rocket engineers who were brought to the United States and to Huntsville’s Marshall Space Flight Center after working with the Nazi regime during World War II. The New York Times designation is just one of the many “best places to …” or “must see” lists on which Huntsville frequently lands. Huntsville locals are all atwitter with the projection that Huntsville might become the largest city in Alabama in the 2020 census. I get smug glares when I try to point out that the population within the city limits of Huntsville might indeed surpass that within the city limits of Birmingham in the next few years, but that the metropolitan population of the Birmingham region will still be three or four times that of Huntsville and its satellites. I have gotten used to smug glares since I moved to Huntsville. Not that it matters, but readers have asked me why I don’t write much about the town where I live. After sixteen years in residence, I am still ambivalent about the place. My house in southeast Huntsville is indisputably my “home”; it’s the place where I keep my stuff and where I feel at peace – it’s my haven. But the city where my home is located is a place where I still feel like a visitor, and sometimes an interloper. I’m a quasi-Luddite in a town full of military types, federal employees, IT workers, engineers, and rocket scientists. I’m not really at home in Huntsville’s STEM paradise; I find it lacks STEAM (which, for the uninitiated, is STEM with an Art component). My lack of enthusiasm probably dates back to my days in elementary school. When I was in fifth grade, in Birmingham, we took a field trip to Marshall Space Flight Center. In those days, we frequently watched space launches on black and white classroom televisions. As a first grader, I was enthralled watching the coverage of John Glenn’s 1962 Earth orbits. I was excited to contemplate going to Huntsville, the place where so much of the technology for the space race had been formulated – the place where the astronauts trained. When my fifth-grade field trip occurred, the 1967 Apollo 1 tragedy had not yet happened and the 1969 moon landing seemed to be in the distant future. Most importantly, perhaps, these were the days before there was a U.S. Space and Rocket Center so Marshall was all business – with no bells and whistles – for a school field trip. Then we had a long bus ride back to Birmingham. I have met people all over the country who tell me that childhood trips to Huntsville’s U.S. Space and Rocket Center or Space Camp (www.rocketcenter.com) changed their lives, turning them into space and science enthusiasts. 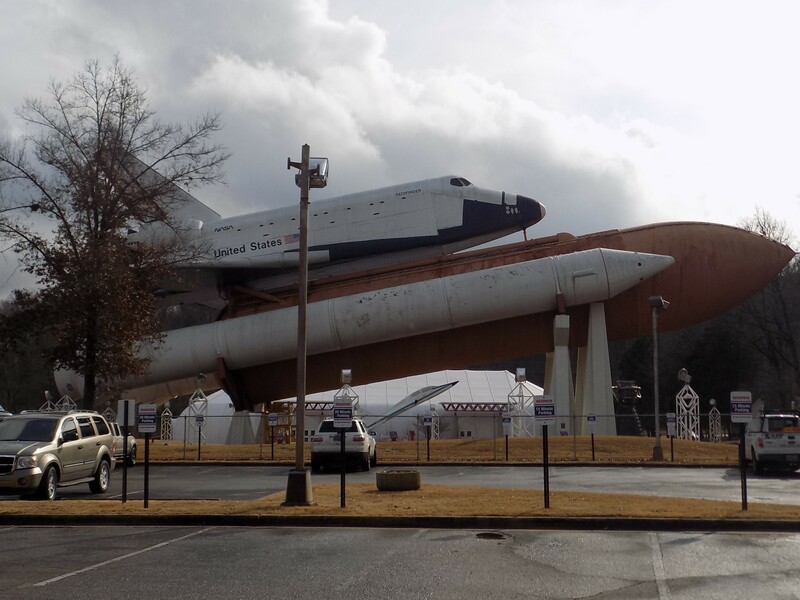 I’ve no doubt that my class experience would have been much different with the more exciting and interactive experience of the Space and Rocket Center, but, for me, the trip to Huntsville was the worst field trip ever. My second visit to Huntsville was years later when I was stage managing a touring theatre production that played an arts festival in Huntsville’s Big Spring Park. It wasn’t a great tour stop. Some of the locals complained that the production – a salute to the music of Stephen Sondheim – was too “adult” for the family crowds at the festival. There was some sort of power glitch during an afternoon show that caused the performance to grind to a halt for a few minutes. Despite these early experiences, when what seemed to be a promising opportunity to take a teaching job in Huntsville arose many years later, I accepted the offer and hoped for the best. Huntsville had less than 15,000 inhabitants in 1940, prior to the establishment of Redstone Arsenal during World War II. At that time, it was the “watercress capital of the world” and a place focused on cotton and textile production. The remnants of some of the local mills and the “company town” communities which surrounded them are still around and repurposed today. When I moved to Huntsville in 2002, I was thrilled by how many cotton fields could still be found within the city limits. In the years since, I have seen most of those disappear and be converted to more prosaic uses. Still, one doesn’t need to travel far to find rich agricultural land and scenic beauty. One of my favorite vistas within the city limits is what remains of Jones Valley Farm, a once expansive family farm that has mostly been sold off for residential and retail development. Enough of the farm land remains to capture the beauty of what that valley area nestled among three mountains must have been long before I came to live here. With the arrival of the “Space Age” came the arrival of space age architectural flourishes and, while I am a fan of mid-century modern architecture, I never found my comfort zone with some of its incarnations, such as the Googie branch of futurism which took off with the advent of the space age (think “The Jetsons”). Unfortunately, Huntsville’s growth spurt was simultaneous with that style so you have the anomaly of an unfortunate modernist county courthouse sitting in the middle of a still charming and historic town square; a foreboding city hall looming over the big spring that spurred the area’s earliest settlement; and First Baptist Huntsville’s rocket-inspired carillon and trippy “Cosmic Jesus” mosaic façade. These remnants of the early days of space technology in the area are jarring amidst the vernacular structures that still provide local character. The local visual arts scene is centered in Lowe Mill (www.lowemill.net), a converted cotton mill housing dozens of artist studios. It’s a great idea in principle, but it becomes exhausting to separate the wheat from the chaff in the expansive space. Incidentally, living near the Arsenal, one tries to get comfortable with random large booms and the sounds of explosions – some of which are house-shaking – with military helicopters regularly flying overhead. I’m not quite there yet. Local lore has it that Native Americans referred to the location of present-day Huntsville as the “Valley of Death” because of its preponderance of allergens. I first heard that from my primary care doctor, who suffers from many of the same allergies as me. It is a questionable legend that has been attributed to other places. However, I can attest to the fact that I did not suffer from seasonal allergies until I moved to Huntsville; now, my “seasonal” allergies cover all four seasons. It is of interest to note that Monte Sano, the mountain that looms over downtown Huntsville, means “Mountain of Health.” Local legend says that name came about because the natives escaped up the mountain to get away from the valley of death. It makes sense to me. I was pleased recently with the opening of a sharp new gallery space – Burnwater Gallery – nestled far away from the hustle of Lowe Mill (www.burnwatergallery.com). Not far from Burnwater, Holtz Leather Co. is a family business specializing in fine leather goods crafted on-site (www.holtzleather.com). Anaheim Chili (www.anaheimchili.net) in Jones Valley is a casual place specializing in about a dozen chilis, other hearty menu items, and a variety of local brews on tap. The regular tastings at the local Wine Rack (www.winerackhsv.com), a neighborhood wine shop with a quirky assortment of regulars, provide another setting for lively community interaction. There are also some good food trucks to be found scattered throughout Huntsville. My favorite is Peppered Pig (www.pepperedpig.net). I am currently excited about Purveyor (www.purveyorhuntsville.com), a new local restaurant in The Avenue multi-use development downtown. Based on word-of-mouth, I was worried that the place might be a little too pretentious and “precious” for my taste. Purveyor is a little expensive, but after dining there recently, I am a convert. Chef Rene Boyzo is providing an adventurous and ambitious menu, setting an exciting and desperately needed new bar for Huntsville dining. In the middle of writing this essay, my mother, my nephew, and I were standing outside late on a cold and cloudless Sunday night in Birmingham watching the Super Blood Wolf Moon eclipse. The night was calm and peaceful and I re-encountered that awe that I had as a first-grader, that must have inspired the moon mission and its earliest explorations – that still inspires so many residents of the Huntsville area today. A few days later, it was announced that a new rocket engine facility locating to Huntsville is negotiating with NASA and Marshall Space Flight Center to re-purpose and use the Saturn V Dynamic Test Stand that has stood abandoned since the days of the Saturn V rocket and development of the space shuttle. It’s an imposing structure, still one of the tallest buildings in the state, and visible from many parts of Huntsville – standing isolated and alone in the distance. I have often thought it was a shame that it’s no longer utilized. Now, perhaps, it will be. Since moving to Huntsville in 2002, I have had the vague impression that the local aerospace concerns were constantly trying to justify their continued existence amid constant changes in the political climate and shifting allegiances to space exploration and its implications. With recent developments, there may be justifiable life in the old girl yet. I have no intention or desire to remain in Huntsville past retirement, but my interest in the place and its future has been newly titillated. I plan to keep watching in the future … and from a distance. This entry was posted in Huntsville AL and tagged 1892 East Restaurant and Tavern, Alabama, Anaheim Chili Huntsville, Apollo 11, Burnwater Gallery Huntsville, Holtz Leather Co., Huntsville Alabama, Lowe Mill, NASA Marshall Space Flight Center, Peppered Pig food truck, Purveyor Huntsville, Redstone Arsenal, Rene Boyzo, U.S. Space and Rocket Center, Wernher von Braun, Wine Rack Huntsville on January 26, 2019 by gedwardjourney.